Only grows from 6-8' high with a red peeling that is almost black when ripe. 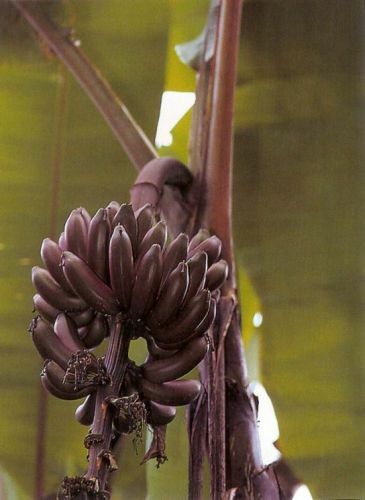 It needs longer to ripen then most bananas, but the extra time is worth the excellent tasting fruit. Has red stems that sometimes revert to green.